Comic publisher WildStorm revealed new details about the upcoming Assassin's Creed comic book miniseries. The first issue of Assassin's Creed: The Fall will hit stores on November 10th and cost $3.99. 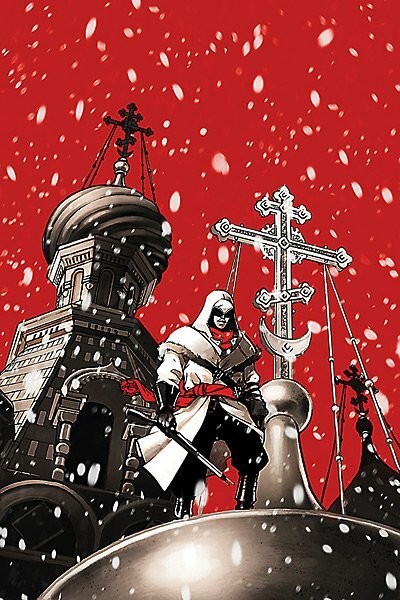 Assassin's Creed: The Fall follows 19th century Russian assassin Nikolai Orelov as he strives to claim an artifact of immense power from the hands of the Templars, leading to a climactic and violent showdown with the ruthless Tsar Alexander III aboard a speeding train!" states WildStorm's website. The Fall will have three issues in total. It's being illustrated and written by Karl Kerschl and Cameron Stewart.